The Ashmolean Musem has created an online exhibition of art on paper created during the First World War. 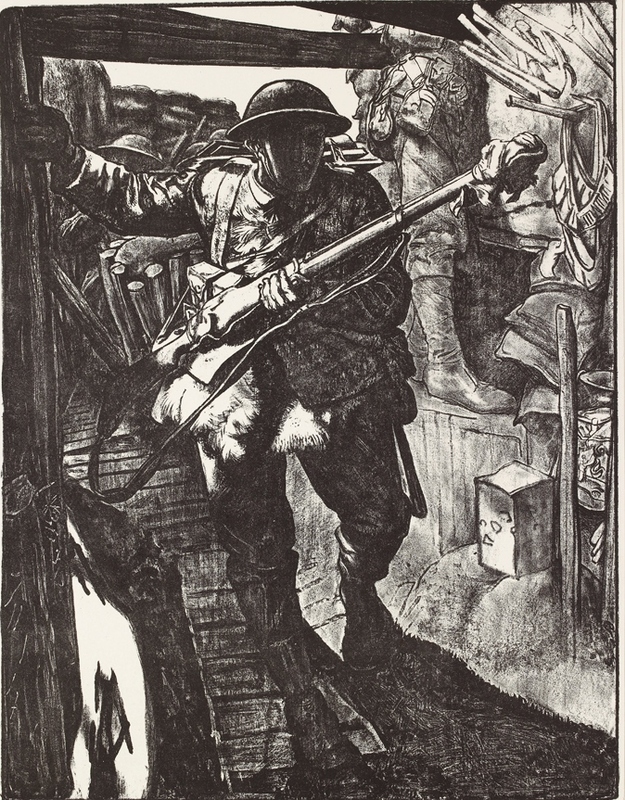 The ‘Artists Under Fire: Remembering the Great War 1914-1918’ contains a collection of images grouped according to theme, such as ‘Dressing the Part’, ‘Tending the Wounded’, ‘From Dock to Deck’ and ‘In Memoriam’. [The exhibition] includes a range of images that reveal the effects of the war on soldiers and civilians alike, as seen through the eyes of contemporary artists. Those who cannot make it to Broadway can still enjoy the online exhibition at http://www.ashmolean.org/exhibitions/artistsunderfire/.